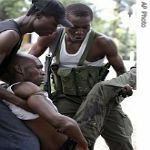 417 people, including women, children and street children, who were arrested by the Congolese National Police (PNC) after the November 11 2006 unrest in Kinshasa, have been detained and will now be sent on national service against their will. 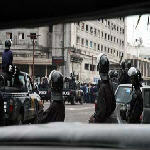 Police in Kinshasa, capital of the Democratic Republic of Congo (DRC), have arrested 337 people, including 87 children, over violence that rocked the city on Saturday, Interior Minister Denis Kalume said on Monday. 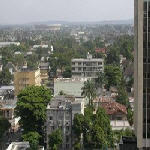 Kinshasa remains calm after the violence that erupted on Saturday November 11th 2006, in the central business district of Gombe, which involved the Congolese police and members of Vice President Bemba's security forces, and left four people dead. 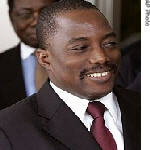 Hundreds have been arrested in the Democratic Republic of Congo in the aftermath of deadly clashes Saturday surrounding preliminary election results.With only 10 percent of the vote left to be counted, and preliminary election results showing presidential incumbent Joseph Kabila leading with nearly 60 percent of the vote, supporters of his opponent, former rebel leader Jean-Pierre Bemba, are making accusations of election fraud. 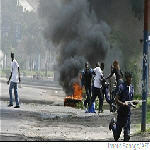 Despite the tension, calm appears to have returned to the Gombe quarter of Kinshasa, where there were isolated shooting incidents. 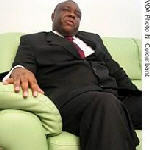 The gunfire raised fears of a resumption of the clashes between militias tied to vice-president Bemba and president Kabila. William Swing, the UN Special Representative for the Secretary General in the DRC, met Archbishop Monsengwo, the president of the National Episcopal Conference of Congo (CENCO), on Thursday November 9, 2006. After the meeting Archbishop Monsengwo gave his impressions on the DRC political situation, in an interview granted to MONUC's video unit. 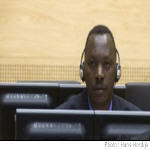 Judges at the International Criminal Court in The Hague began hearing evidence for the first time, as prosecutors began laying out their case against a Congolese militia leader. 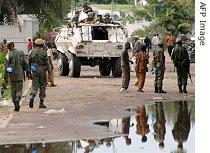 Thomas Lubanga is accused of recruiting children to fight a brutal war in the northeast of the country. For VOA, Lauren Comiteau is following the confirmation proceedings and has more from Amsterdam.